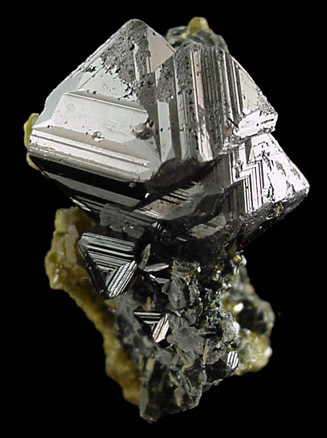 Description: Striated, dark metallic octahedral crystals of magnetite on matrix. The back side has been sawn flat. 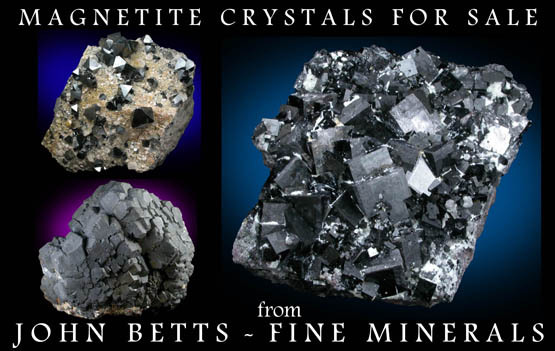 The striations on the magnetite crystals are due to many parallel crystal faces. Minor edge frittering.